Low Maintenance. 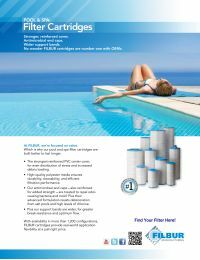 Cleanable & reusable, the FC-1007M Spa Filter Cartridge requires fewer filter replacements, resulting in less hassle and maintenance. Microban Antimicrobial Technology. Microban prevents harmful bacteria from growing on the cartridge reducing foul odor, algae, black mold and other contaminants.